In modern English, we often use the terms rabbit, bunny, and hare interchangeably. However, technically, a bunny is a baby rabbit, and a hare is not quite the same thing as a rabbit. In fact, hares are a different species entirely from rabbits. Both rabbits and hares come from the same general animal family, but they are about as closely related as a sheep is to a goat. Hares: Hermaphrodites or Something Else? Hares and rabbits share many traits in common, but they also demonstrate significant differences. Hares are bigger than rabbits. Their ears and legs are longer. In ancient Greece, the hare was thought to be a hermaphrodite, possessing the capacity to reproduce by itself. Because the hare was thought to bear children without “losing its virginity,” it became associated with the Virgin Mary in the ancient church. This is why the hare is found in a lot of medieval church artwork. Additionally, because of the hare’s ability to breed quickly (like rabbits), it became a symbol of fertility. 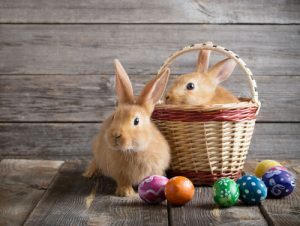 Thus, because the Easter tradition was originally a pagan holiday celebrating the fertility of the spring, the hare eventually became associated with Easter. Accordingly, the Easter Hare or “Easter Bunny” was born. Seeing how the Easter Hare eventually became a “bunny,” it’s not surprising that many people assume hares are simply a type of rabbit. However, one of the most telling ways to distinguish between a hare and a rabbit is to look at how newborn hares differ from baby rabbits. A baby rabbit is born hairless after a pregnancy of approximately 30-31 days. Hares, on the other hand, are born with full fur after a gestation time of 42 days. A bunny’s eyes are closed, and it is blind at birth. A hare is born with its eyes open. Another main difference between rabbits vs. hares is where they live. 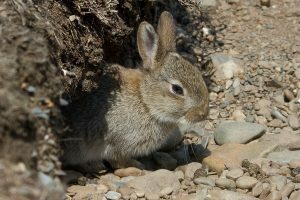 Rabbits generally live underground in burrows or warrens. These warrens can be complex networks of tunnels generally built by the momma rabbit. An exception is the cottontail rabbit, which mostly lives aboveground in nests. Hares, on the other hand, do not burrow underground. They like to keep a lookout and view their surroundings – they tend to be more aggressive than rabbits – so they live aboveground to watch for predators. A hare habitat might consist of a nest of leaves on a hill or somewhere else elevated where the hare can get a good view of its surroundings. As with the conflation of the Easter Hare with the Easter Bunny, hares and rabbits are often interchangeable when it comes to symbolism. Bugs Bunny, for example, was often referred to as a “hare” in the cartoons, even though he burrowed underground like a rabbit. In some analyses, Bugs Bunny, despite his name, looks more like a hare (due to his gray fur) and acts more like hare (since he is solitary). In the world of spirit or totem animals, rabbits and hares are sometimes interchangeable. They are considered to be symbolic of fertility, rebirth, release from fear, and good luck (as with the lucky rabbit foot). Additionally, a rabbit or hare totem is associated with abundance. If you dream about a rabbit or a hare, it is supposed to indicate good luck. 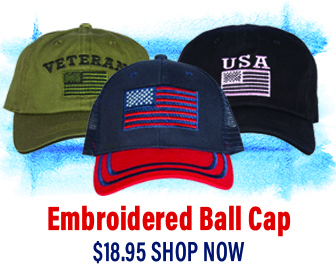 Perhaps you will be coming into money soon. It can also be a harbinger of an impending pregnancy. All of this information is well and good, but what does it have to do with your life? Well, the main application is as follows: If you are looking for a pet with long ears that hops around, it will definitely be a rabbit. Hares are wild animals. They simply are not domesticated. But rabbits are. Baby rabbits are in demand as cute household pets. They can even get along with cats and dogs, given a proper introduction. Having a rabbit can be a wonderful pet. 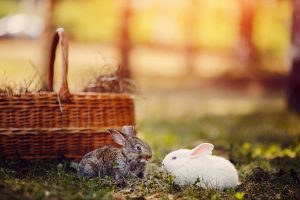 While they do require some maintenance – you will need a rabbit hutch as well as a nest box for your pet – rabbits make great companions. They are furry, hop around, and can make even a grumpy person smile. Just don’t expect that they will be bringing by Easter eggs any time soon.